I strategically help retailers generate fresh ideas, build brand awareness, accelerate client growth, ignite staff inspiration and help generate More Profit. You can thrive in today’s market and I love helping – It’s just that simple. 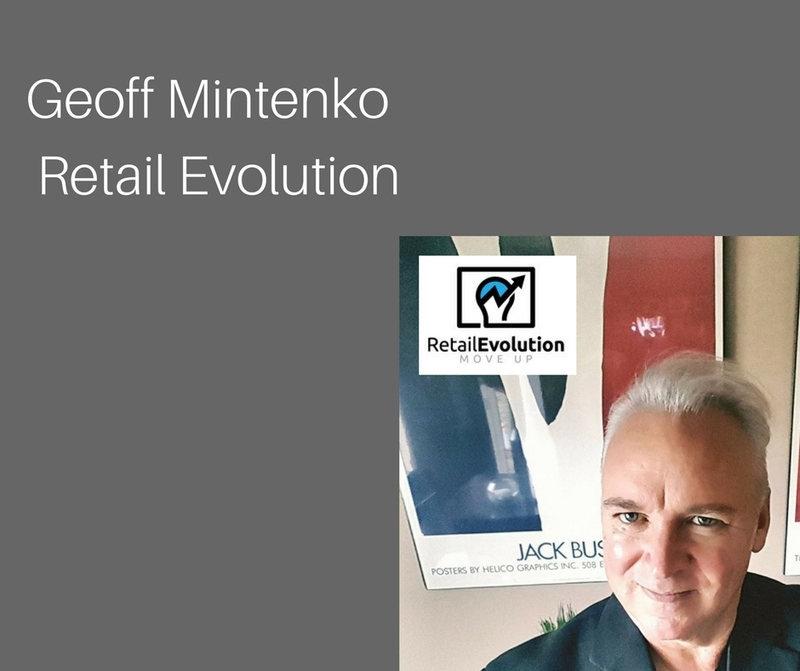 Retail Evolution has played a key role in helping many customer-driven companies create new blueprints for success, client happiness and employee inspiration all equating to strong ROI. Having worked with dozens of different retailers large and small, I still understand you and your company are unique, but please know, you are not alone in what you may be going through. Most companies I’ve had the pleasure of working with love what they do and have had some great successes over the months and years they have been retailing. However due to an ever changing retail landscape, find their profit down rather than growing and have come to a realization what has worked in the past just doesn’t seem to pay dividends like it once did – I can help with that. It’s not that you and your management team and staff are doing anything wrong, it’s just that you are doing things as you always have and now could Really benefit from some Direct outside your circle strategy. I consult and strategize with clients in a multitude of ways, including on location, via Skype/phone and through email. I consult in a sincere direct way. To create a full and complete sense of client-centricity, I eliminate any and all potential conflicts of interest by working anonymously with no requirements of publicity or referral. This creates a very positive working relationship where our clients can be assured our only motivation is to help them solve their specific problems and 100% of our time is client focused. Our consulting programs are personally tailored to work with you or your staff on one, or any number of areas of concern you wish positive improvement. Retail Evolution is a unique company just like you! “ Fear, worry and constant loss of profit had its grip on myself and my company. I got over my fear, called Geoff – things changed for the better almost immediately. Thank you Geoff, you were the change we needed. All I can say is – we should have called sooner. Geoff over-delivered in every area we needed help with. What a positive change! Geoff just told it like it was. We appreciated that. He reviewed our situation, gave his observations and recommendations and we took action – Thank goodness! Thank you Geoff! We just didn’t know what we didn’t know – enter Geoff – he knew. For that we give thanks. – Ideation Generation – Social Media Marketing – Financial Controls – Business Building – Organizational Structure – Sales Management – Target Marketing – Profit Building – Client Retention – Sales Processes – Optimizing Growth – Branding – Advertising – Mindset – Grand Opening Specialist – Sales Training – Team Building – Goal Setting – Sales – Social Networking Development – Management Training – Business Direction – Risk Management – Staffing – Attitudes – Delivery and Warehousing – Suppliers – Marketing – Profitability – Layout & Design – Merchandising – Staffing – Market Analysis – Competitive Advantage – Strategic Planning – Budget Forecasting – ROI – Happiness. I believe in operating business in complete transparency. I will personally be the individual working with you. I have worked with well over one hundred different companies in my time. It’s that outside knowledge that benefits so many. Your time is important and I respect it. If you feel I may be the missing piece of the puzzle to you and your business, feel free to call with any questions.